1. 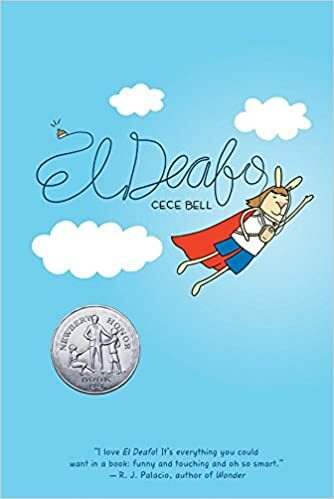 You can buy a hard copy of the book and scan it or purchase the ebook. In this case, I purchased the ebook because I knew I would not need a hard copy. This is how the book looks on the Kindle Cloud Reader. 2. Take a screen shot (Shift-Command-4) on a Mac or use the snipping tool in Windows to select the image you want on the slide. 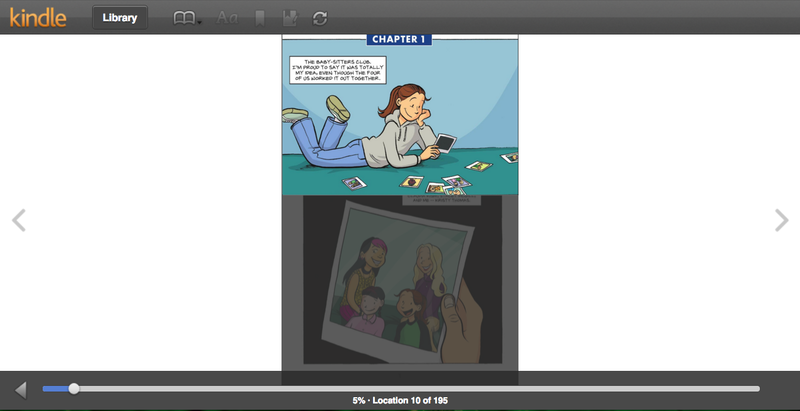 Graphic novels have quite a few panels on each page, so I chose to spread one page of the book across several slide. Tip: When you double-click a single panel on the page it zooms in and highlights the panel within the frame. 3. 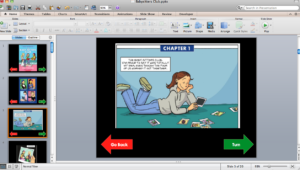 Open PowerPoint and set up a slide with arrows for turning pages. Click here to download the template I used. You can also find several other templates posted in previous blog posts. 4. Paste or insert the panel(s) you selected on the slide. 5. 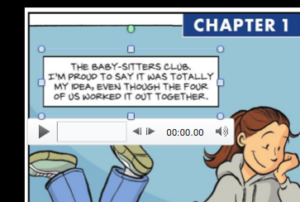 Record audio (found on the Home toolbar at the top of the screen) for each caption, speech bubble, or special effects lettering. 6. Move the speaker icon over top of the text and re-size it to fit the entire area. 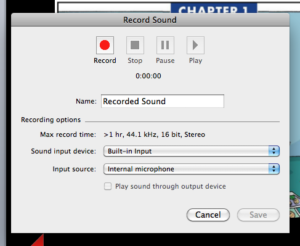 Tip: I found that I need to bring the bottom of the speaker a little but below the bottom of the text box. 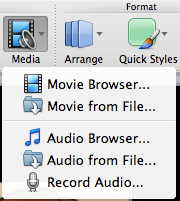 This prevents the small audio window that pops up when it is clicked in presentation mode from blocking the text. 7. 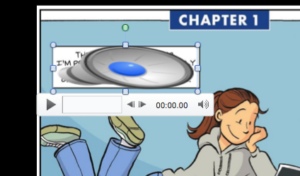 Make the speaker icon transparent by double-clicking it and moving the transparency slide on the Format Audio toolbar (positioned at the top of the screen) to 100%. 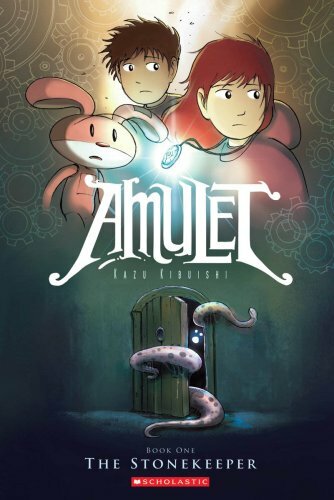 I really enjoy using graphic novels as a way for older students to enjoy illustrations with a wider variety of age respectful content. 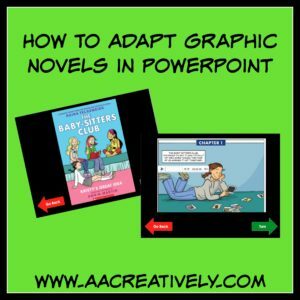 Please let me know if you adapt any graphic novels this way! 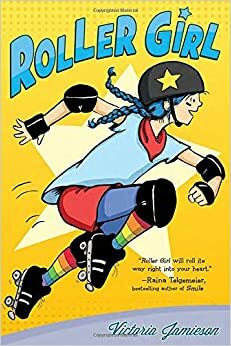 I hope to have The Baby-Sitters Club available soon.